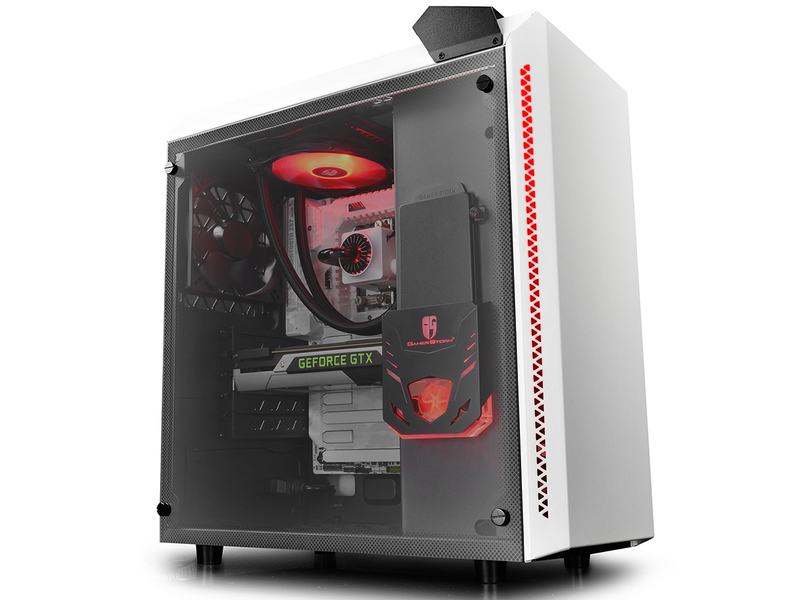 Wherever you look, it seems the cost of today's PC components are increasing at a steady rate. 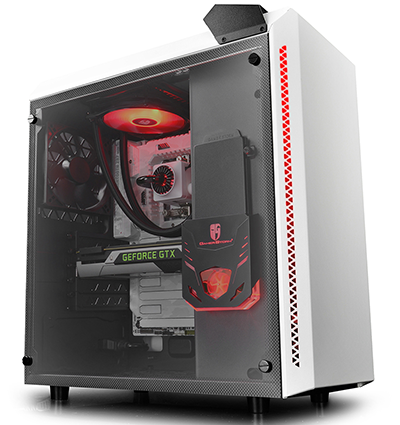 You could call it the Brexit effect, or consumerism gone wrong, but the point is, you can spend well over a thousand pounds on a new PC and still end up with modest, entry-level components. But are there still bargains to be had from lesser-known brands? Chinese manufacturer Deepcool has been championing budget parts for a number of years, and is now attempting to tackle three modern trends - tempered glass, liquid cooling and RGB lighting - in a single package priced from £120. 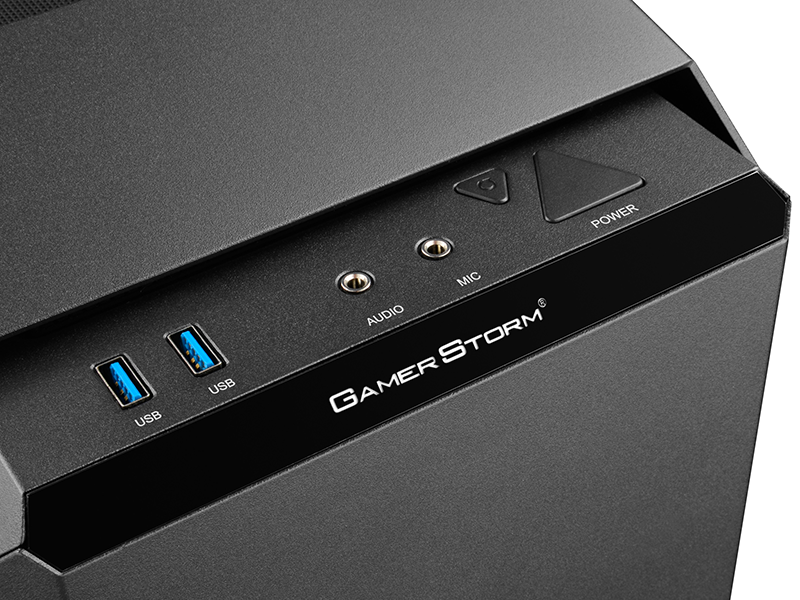 Enter the Gamer Storm Baronkase Liquid chassis. The name is a bit of a mouthful, but we can see the appeal. Chassis with a full-size glass panel and RGB lighting tend not to come cheap, and when you add the cost of an all-in-one liquid cooler, your build could nudge past the £200 mark before any core components. Deepcool's one-stop solution has merit, but is it actually any good? First impressions are in keeping with the price tag. 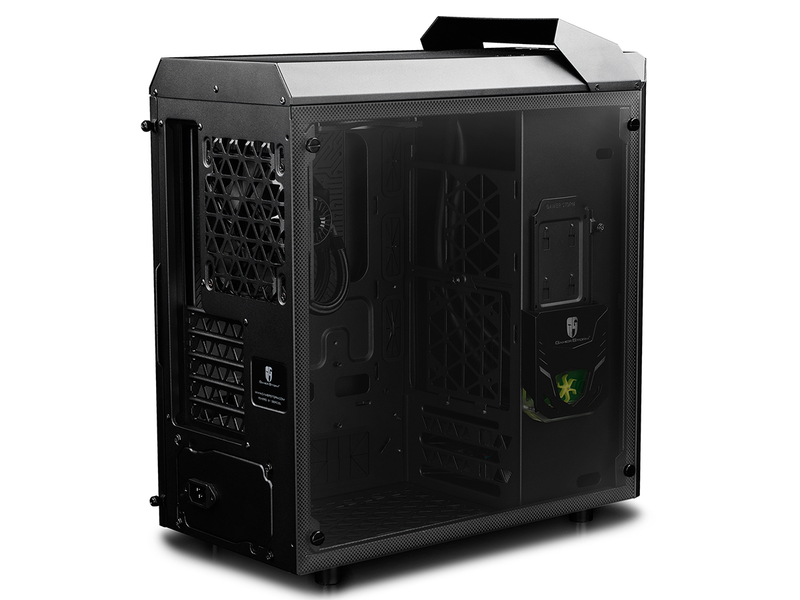 Gamer Storm Baronkase Liquid isn't particularly big - dimensions of 423mm (D) x 215mm (W) x 470mm (H) make it a relatively petite mid-tower - and build quality is good but not great. Some of the metal brackets on the inside are a little thin and prone to flex, while the edges of the steel outer panels aren't quite as seamless as premium competitors. There is a choice of black or white colour schemes, with the latter offering a likeable two-tone finish for a £5 premium, and Deepcool's 4mm-thick glass side panel is well implemented and tinted by just the right amount. The overall aesthetic is an acquired taste, yet as a gaming case it is neither overly ostentatious nor too large, and the metal carry handle on top actually comes in handy. A row of I/O ports lining the top-front edge serves up no surprises - it is a standard selection of power, reset, microphone, headset and dual USB 3.0 jacks - though there are three curious buttons just behind the carry handle. Identified as M, P and S, the trio allows you to change the mode, power (on/off) and speed of the various internal RGB lights. 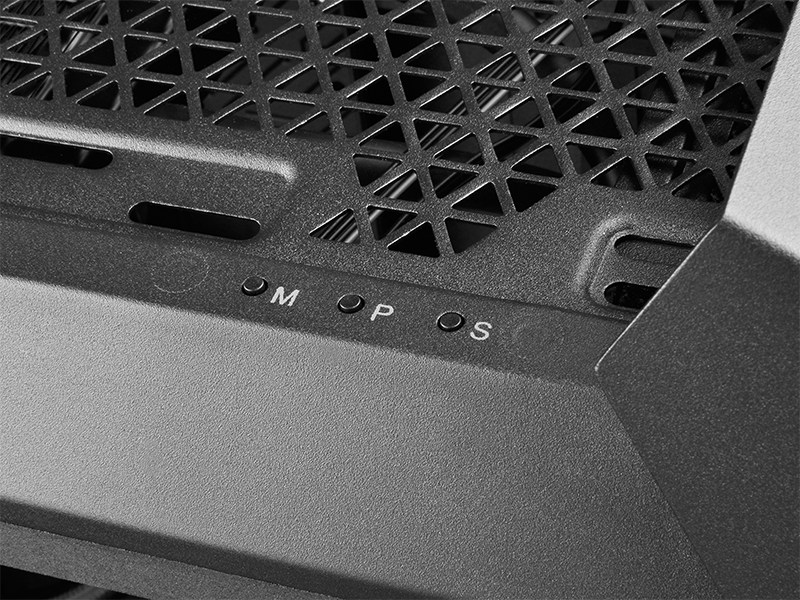 We like having physical controls, though it's a shame Deepcool hasn't managed to implement the buttons seamlessly - if you're prone to noticing the smallest details, you'll find the screwed PCB on the underside has left imprints on the top of the case. 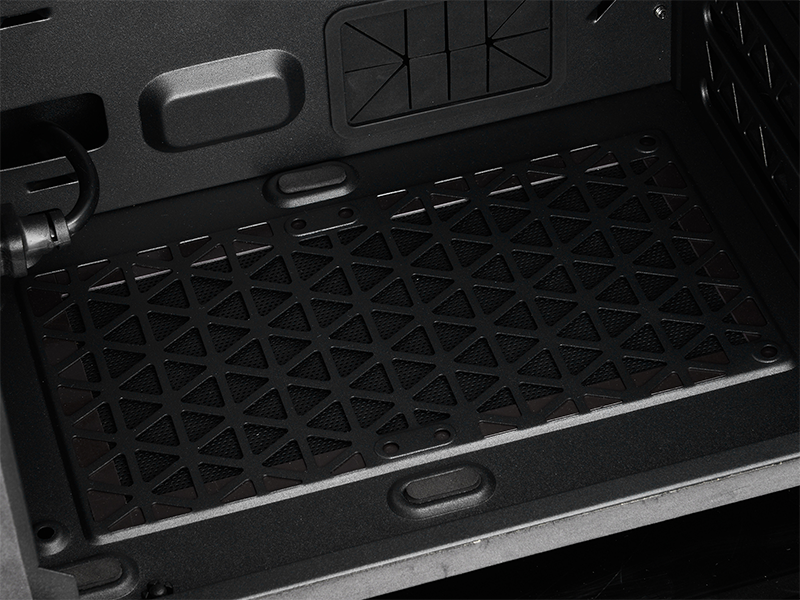 Captive thumbscrews hold the solid, hinged rear panel in place (it is black or white depending on model), and when both the panel and glass are removed, you start to get a feel for Baronkase's unusual interior. 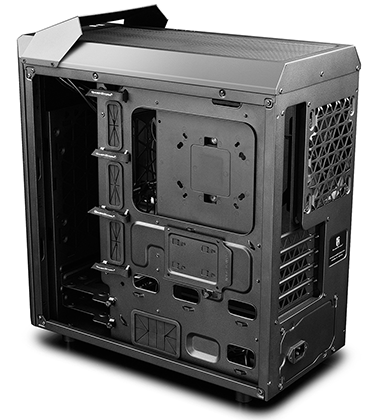 Deepcool officially markets the case as a Micro-ATX solution, though it does also support Mini-ITX and standard ATX form factors. Yet given the tight confines, choosing an ATX platform results in a shuffling of component locations. The PSU is moved from bottom-rear to top-front, mounted vertically at the top of what is traditionally the storage column, and a pre-routed cable connects the supply to the back of the case. There are two metal 2.5/3.5in drive sleds at the bottom of said column, while a pair of SSD trays are at opposite ends; one sits on the front side in full view; the other is tucked behind the motherboard tray. An internal layout that is unusual can be intriguing and frustrating in equal measure. Baronkase Liquid is certainly both. 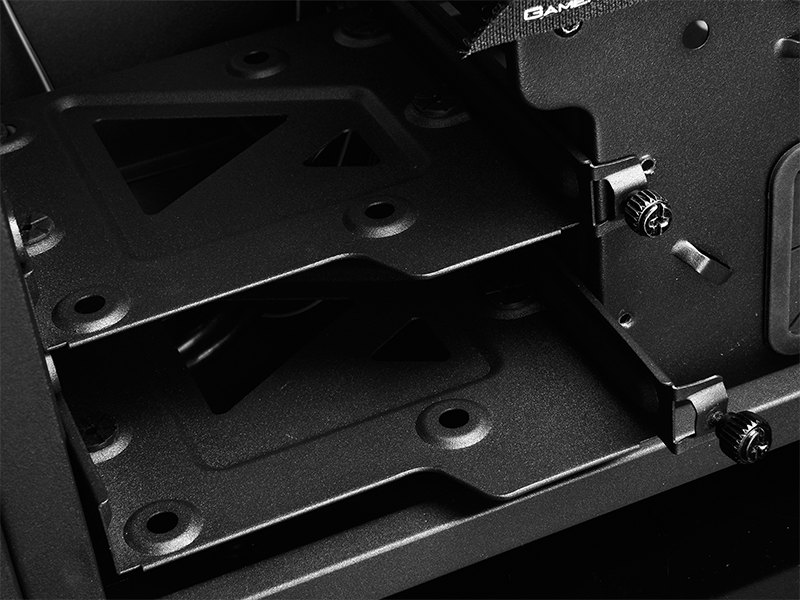 Installing our ATX X370 motherboard proved to be a real squeeze and required the case-building equivalent of a three-point turn, while the Radeon RX 580 graphics card would only fit after removing a square plate on the side of the upright PSU column. Furthermore, users with multiple expansion cards should note the availability of just five expansion slots. 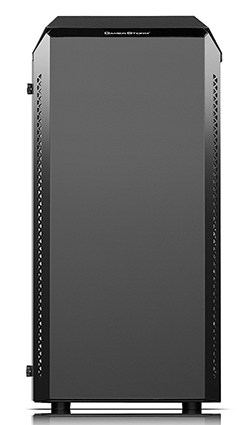 Installing an ATX platform isn't as straightforward as we'd like - the board covers three of the four rubber-grommeted cable holes - yet when everything is eventually in situ, it's quite nice having full-size parts in an enclosure that isn't overly large. 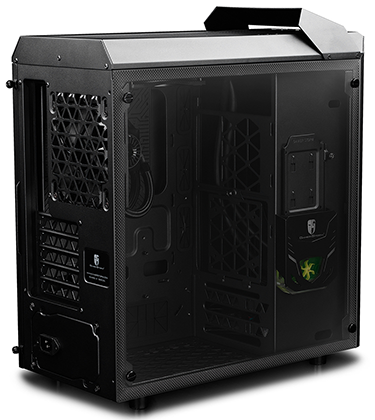 Cable management is aided by a large hole beneath the motherboard tray, and though the solitary 120mm rear exhaust is the only standalone fan, you can maximise upward airflow with a couple of optional 120s on the bottom. 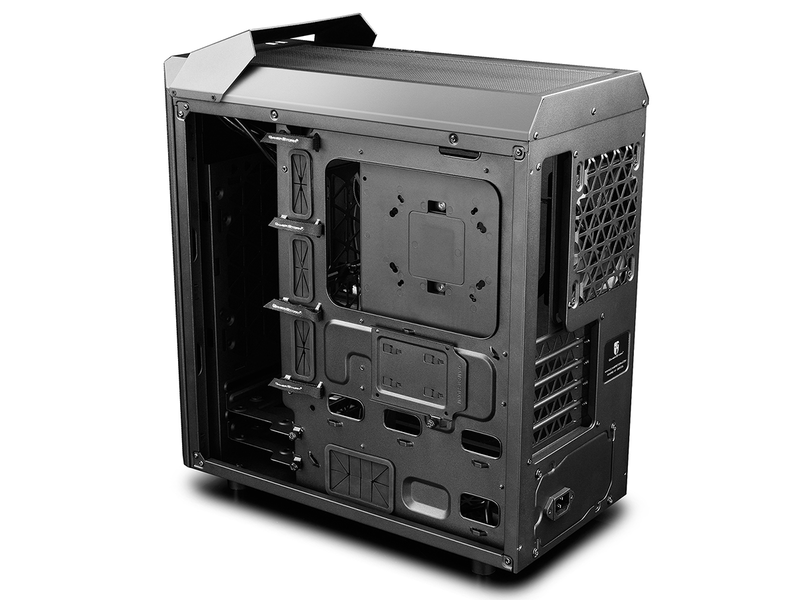 And of course, with this case there's no need to worry about sourcing a third-party CPU cooler. Right out of the box, Deepcool includes a Captain 120EX RGB liquid cooler. 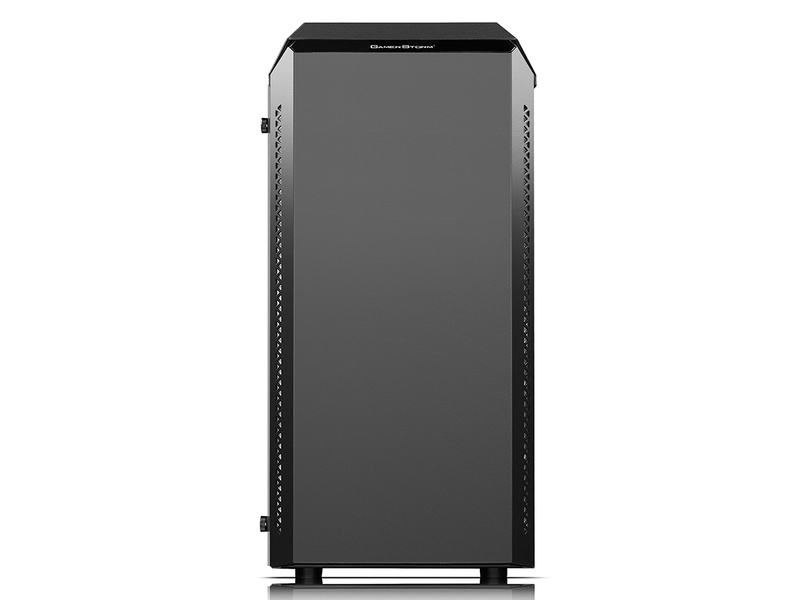 The 120mm radiator/fan assembly is fixed to the roof, while the pump is held to an ITX-sized securing plate to prevent damage during transport, and all the required fixings for an array of Intel or AMD sockets are included. The only obvious omission is Threadripper, but we had no trouble quickly mounting the pump on our Ryzen 7 test platform, and we like the fact that our white review sample includes a matching cooler. 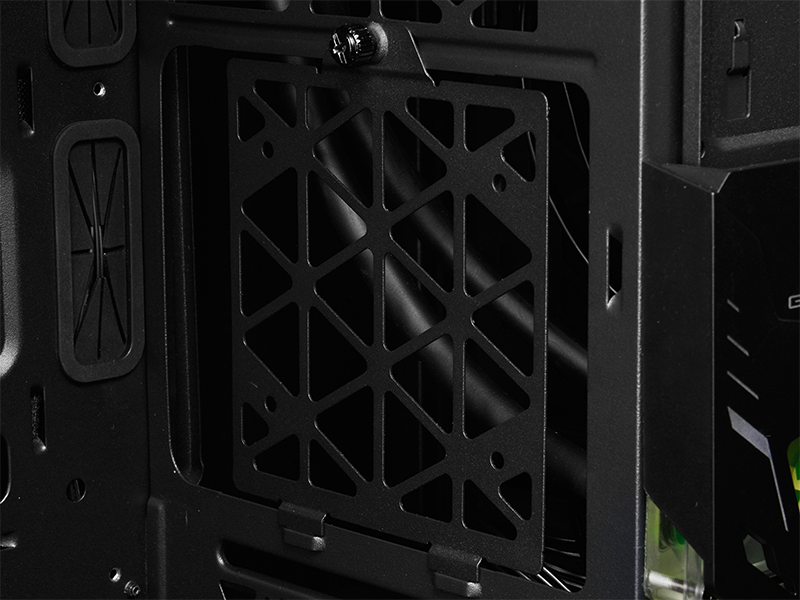 With the intention of adding a little extra flair, Deepcool also implements a flow-rotor unit on the side of the PSU column, whose RGB backlight matches up to the pump, radiator fan and front panel. 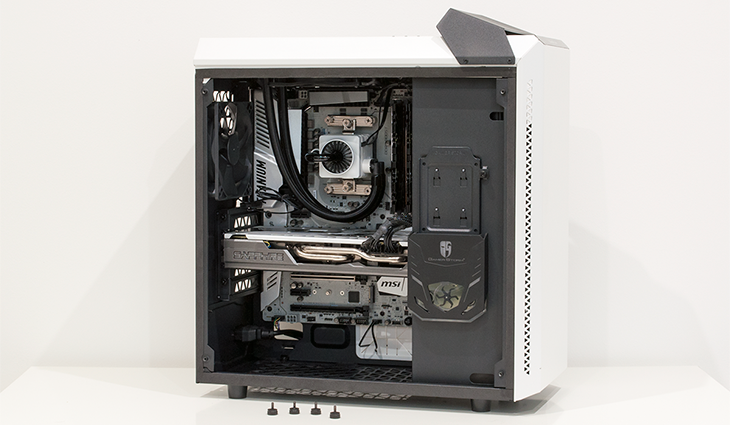 Nifty though the out-the-box features may be, we wouldn't go as far as to say we enjoyed building into the Gamer Storm Baronkase Liquid as there are one too many niggling frustrations. 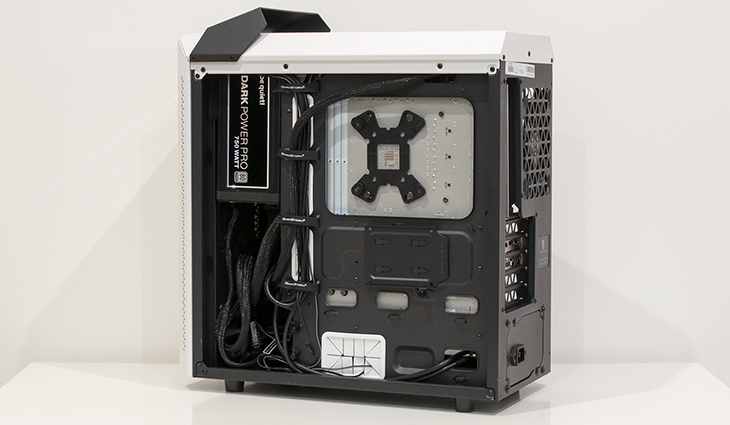 As an example, fitting the PSU to the roof of the case entails removing the carry handle and carefully holding the supply in place while trying to align the top screws. Once the provided screws are in place, you then find out they prevent the mesh cover from sitting truly flush. Being unable to reach the PSU power switch is another bugbear, and the chassis does feel a tad cramped when using a standard ATX board. Still, there aren't many (any?) cases offering liquid cooling, RGB lighting and a full-size glass side panel for £120, and Baronkase Liquid has potential for a Micro-ATX build. Let's now see if performance is up to scratch.